The North Group of the Royal London One-Day Cup seems somewhat topsy-turvy. While reigning County Champions Yorkshire and most recent non-Yorkshire winners Durham find themselves in the lower reaches of the table, in this admittedly early stage of the 50-over competition, it is Division Two side Derbyshire setting the early pace. Recently-relegated Worcestershire rose to third after a convincing win over Yorkshire. 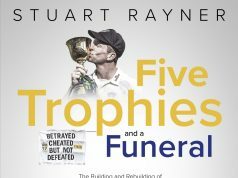 The conquering Pears continue their journey north with a visit to Chester-le-Street, hoping to cause another top county’s batsmen to capitulate in white-ball cricket. They humbled Yorkshire at Headingley earlier in the week with a comfortable seven-wicket win – after bowling out their hosts for a pitiful 170 where Gary Ballance top-scored with just 30. It was a splendid team effort from Worcestershire’s bowlers, with Joe Leach and Jack Shantry leading the way with 2-30 and 2-10 respectively. 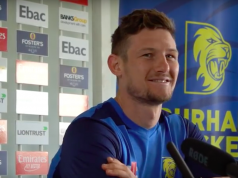 The fact that Durham scored a barely more respectable 216 in their own seven-wicket defeat to Derbyshire was thanks to a sparkling 125 from Ryan Pringle, batting at number eight. Skipper Mark Stoneman, the next highest scorer, made just 22. Their two points in this year’s RLODC came from a nervy 11-run win over Leicestershire, who currently lie between Durham and Yorkshire at the foot of the table. 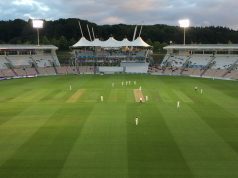 A few more eyes than usual for a county match up north may well be cast at Scott Borthwick, who is widely tipped to make a return to the England Test side after the recent struggles of Middlesex’s Nick Compton in the international arena. Initially picked during the farcical 2013/14 Ashes as a leg-spinning replacement for Graeme Swann, a strong contribution from Borthwick in this game would only strengthen the calls for his inclusion. The colour of the ball and the clothing may be different, but runs on the board are important in every hue. Durham fans who are more concerned about the fortunes of their county than their country may be nervous at the prospect of losing the prolific Scott Borthwick to the England set-up. They have not seen much of Mark Wood or Ben Stokes lately (although they arguably saw too much of the latter after he was seen applauding Alastair Cook’s 10,000th Test run in his pants). Borthwick would be another big pair of shoes to fill. Jack Shantry is something of a cult figure in county circles for his ungainly bowling action and the #shantryfacts phenomenon. Since the first appearance of the hashtag, he has emerged as a huge part of Worcestershire’s recent successes (it was his first-class century that secured their most recent County Championship promotion, for example). However, Worcestershire will be looking to his moderately-paced economical swing bowling to put them in charge of this game, where conditions should help him. Durham have no Wood, Stokes or Graham Onions for this match due to injury. Worcestershire’s captain Daryl Mitchell missed their last match against Northamptonshire in the T20 Blast through injury, but at time of writing they were yet to announce their squad. A cloudy day is forecast with some light rain. Temperatures of around 12-13 degrees are anticipated. Bring a brolly but expect a result.